NEW DELHI: Defending Central Vigilance Commissioner (CVC) P.J. Thomas, Union Home Minister P. Chidambaram on Monday said that allegations against Thomas were discussed in the September 4, 2010, meeting of the selection committee which included him, Prime Minister Manmohan Singh and Leader of Opposition Sushma Swaraj. Addressing a press conference here to release the monthly report card of his Ministry Chidambaram said: “We did discuss the names in the panel. In fact, the bulk of the time (of discussion) was regarding P J Thomas and Palmolein case. She (Swaraj) made her points, the other members of the Committee made their points. “It was brought to the notice of the Committee during the discussion that although the case was registered, no sanction of prosecution was granted by the NDA government from December 1999 to May, 2004 and by the UPA government subsequently,” he added. Earlier, Sushma Swaraj has said she would be filing an affidavit before the Supreme Court giving her point of view on the controversial appointment of Thomas. “The argument in the Supreme Court is completely untrue. I personally brought this fact to the notice of the Prime Minister and Home Minister in the meeting. My precise objection was in regards to the Palmolein case. However, they persisted with his appointment. I have finally decided to file an affidavit in the Supreme Court over this issue,” she added. The Government on Thursday told the Supreme Court that the selection committee was not aware of the case pending against PJ Thomas. 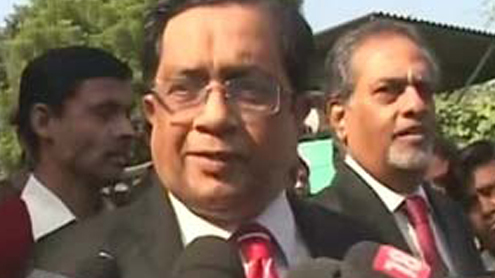 This was stated by Attorney General G E Vahanvati before a bench headed by Chief Justice S H Kapadia, which wanted to know if the issue of sanction and the charge sheet against Thomas was presented before the three-member committee headed by Prime Minister Dr. Manmohan Singh selected him for the assignment. The response of Attorney General came on a question from the bench whether the material relating to the charge sheet and sanction was presented before the committee. Centre for Public Interest Litigation, an NGO and others had challenged Thomas” appointment as the CVC, quoting the Palmolein import corruption case in which Thomas is an accused. The Supreme Court had asked the government to answer several questions on the appointment of Thomas as the Central Vigilance Commissioner while he was facing corruption charges.